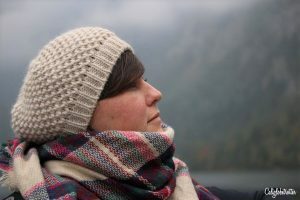 After recently spending 7 weeks in the US, trying to decide if we wanted to move back, I realized how much I have changed in my 6 years living in Germany. Life in Germany is so comfortable, easy and relaxed. There is Ordnung to everything that we do here and over time, the rigid rules Germans live by eventually become daily habits, you hardly notice that they no longer bother you, but more that without them you don’t know what to do with yourself. When you leave the country for an extended amount of time you suddenly find yourself aching to get back as quickly as possible. 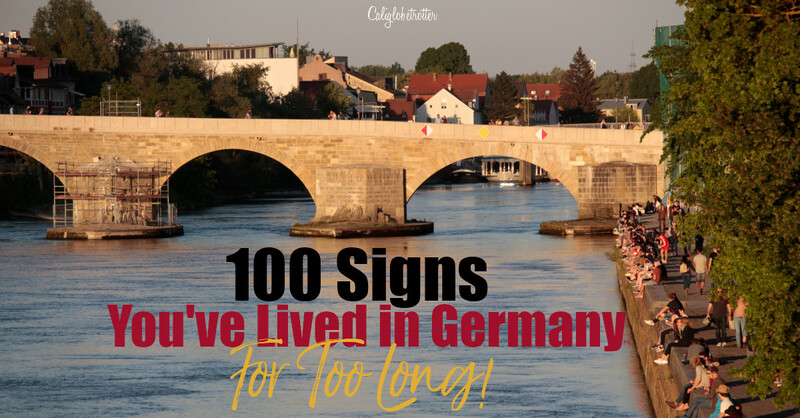 Here I list 100 ways you may have changed after living in Germany for so long, picking up some of the German habits so much that perhaps now you actually pass as a German! These days you probably feel more German than you do American or any other nationality you might be. 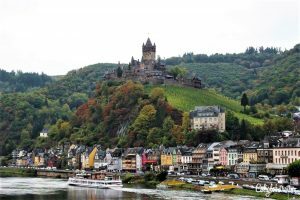 You eat, sleep and breath German that should you return home, you might go through a bit of a reverse culture shock. You honestly don’t realize how much life as an expat in Germany changes you until you return home and struggle with the cultural differences. You might even say you go through a little bit of an identity crisis as you try to fit into both cultures. 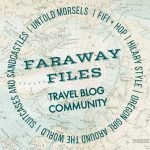 This post previously had another titled and about half the signs, but it dawned on me just how much I had been Germafied, I decided to entirely rewrite it. Think You’ve Become Germanized? PIN IT FOR LATER!! 1) You obsessively recycle plastic, paper, glass and compost and are aware of how important it is to be environmentally friendly, that when you go places you are angry that the rest of the world doesn’t have as good of a recycling network. 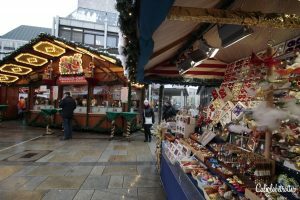 2) Your year hasn’t been complete until you have gone to several German Christmas Markets. 4) Your driving skills are impeccable and you now have road rage when someone doesn’t obey the road rules. 5) You hate driving anywhere else outside of Germany for lack of efficient road rules and sections with unlimited speed limits. 6) You always carry an extra shopping bag in your purse/backpack at all times so as to save a plastic bag and not pay .20cents for a new bag each time you go shopping. 7) You stand at the ready with your wallet, cash/cards out and can effectively pack your groceries in your backpack/bag perfectly in under 2 minutes without holding up the line. 8) You no longer cringe at un-refrigerated milk and eggs. 10) You can no loner tolerate people playing loud music or talking loudly on public transportation. 11) You no longer cross the street at a red light or J-walk for fear that you will loose your driver’s license, even if there is no car in sight. 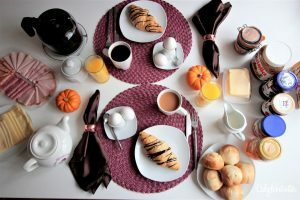 12) Your weekend is not complete without a proper continental breakfast. 13) You now enjoy a shot of espresso after any meal. 14) You enjoy family get-togethers revolving around coffee and cake in the afternoon. 15) After a big, heavy meal, you now enjoy a Willie! 16) Your alcohol tolerance has increased and you can now drink like a German! 17) You religiously believe that German beer is far superior to all others and take the Reinheitsgebot “German Beer Purity Law” seriously. 18) You’re a bratwurst snob! Currywurst. Bockwurst. Weißwurst usw. 19) You can make a damn good schnitzel / cordon bleu. 20) You enjoy seasonal meals in Germany such as Spargel mit Kartoffeln, Zwiebelkuchen mit Federweißer or Kürbissuppe. 21) You no longer startle Germans by greeting them with “Hello, how are you?” but instead say “Guten Morgen” or “Servus”. 22) You say hello to complete strangers whenever you walk into a room, an elevator or even walking up/down the stairs. 23) You have more types of insurance than you know what to do with them. 24) You actually pledge allegiance to a football team in Germany or support the German team during the World Cup / Euro Cup. 25) You shower at lightning speed and turning off water while you lather yourself in soap before rinsing off. 26) You grumble when a shower doesn’t have a removable shower head. 27) You’re always punktlich no matter where you go. 28) Shopping on a Sunday suddenly feel so very, very wrong and you treasure the few Sundays a year where shops are actually open. 29) You walk faster for no apparent reason whatsoever. 30) You automatically take your shoes off whenever entering someone’s house and willingly use a pair of Hausschuhe. 31) You carry an extra pair of socks with you just in case someone doesn’t have house slippers for fear you might catch a cold. 32) You religiously wear a scarf all year round, for fear of feeling like you might catch a “Zug” on the back of your neck and catch cold. 33) You open your windows every day, no matter how cold it is. 34) You bring your own birthday cake to work to share with others rather than expecting your coworkers to remember your birthday. 35) You’re appalled that in places like the US, they still use checks as a form of payment when for so long, everything in Germany has been automated. Perhaps you don’t even know what a check looks like! 36) You’re terrified of that “end of year bill” and save up money all year in case you suddenly have to pay more for water or electricity. 37) You spend the summer sun bathing at the local pools. 38) You spend your summer evenings at biergardens beneath twinkling lights. 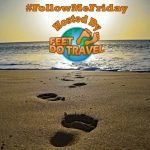 39) You own a pair of walking sticks for hiking in the Alps or nearby forests. 41) You enjoy Apfelschorle, Weinschorle or anything-schorle! 42) You yell at anyone who dares to break the silence of a Sunday. 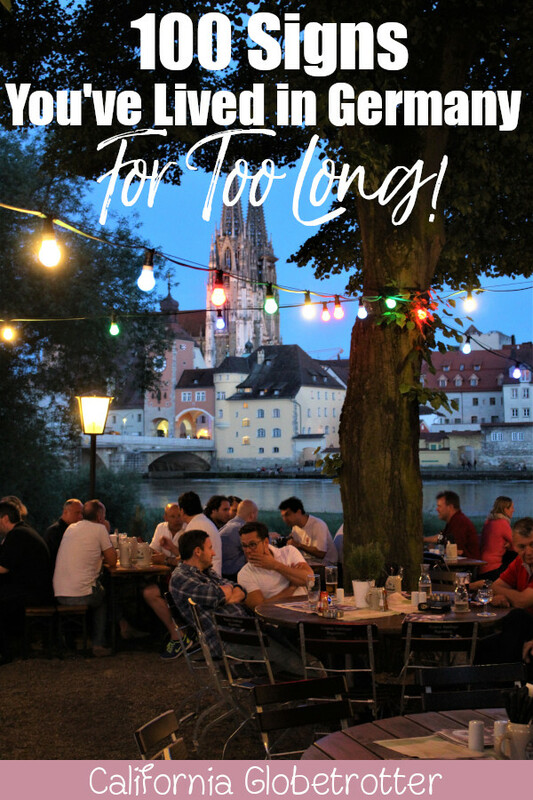 43) You go on more weekend trips to one of the nine countries surrounding Germany to feed your craving for pierogi in Poland, Fondue in Switzerland, Belgian Waffles or Viennese coffee and cake. 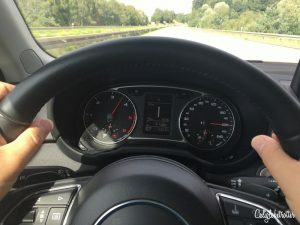 44) You love the thrill of driving 200kmp on the Autobahn but you also love to take German trains and enjoy the scenery. 45) You’ve seen more of Germany than most Germans because you’re always embarking on day trips from Munich or from Frankfurt. 46) You cringe at the idea of having anything less than 4-6 weeks of vacation time a year, and it’s honestly not hard to use it all. 47) You fawn over Elizabeth “Sisi”, Empress of Austria and watch the films at Christmas. 48) You no longer fear calling out of work if you have a cold and no longer worry about loosing your job. 49) You have come to appreciate what high taxes affords you such as free university tuition, great health benefits and for those with kiddies, affordable day care. 50) You speak German so naturally now that simple words like “Tschüss” or “Passt” make it into your everyday English vocabulary. 51) You don’t mind your neighbors accepting your packages when you aren’t home and often return the favor. 52) You’re no longer shocked to see Christmas goods in the stores starting Sept. 1. 53) You always carry cash with you because you know that “Cash is King” in Germany and many places still don’t accept Credit / Debit cards, despite your wish that they do so. 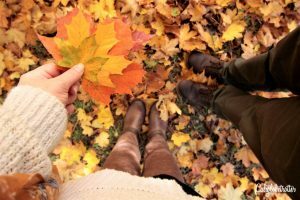 54) You look forward to “Golden October” ever year and have matching seasonal clothes. 55) You no longer cringe at German frankness and have come to appreciate their brutal honesty. 56) You no longer complain of not having a dryer in your house and prefer to hang dry your clothes anyways. 57) You have more than one pair of Lederhosen and Dirndl in your closet. 58) You now think in Celsius more than Fahrenheit and have mastered the metric system. 59) You never leave the house without an umbrella. 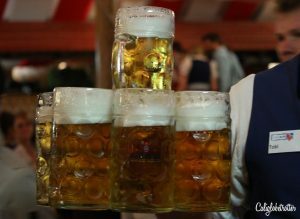 60) You love all the public holidays Bavaria gets and feel sorry for anyone not living in Bavaria. 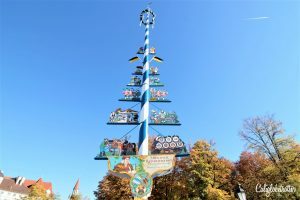 61) You love to watch a MaiBaum celebration on the Erste Mai (May 1st). 62) You bike to work no matter rain, shine or snow. 63) You have a case of beer on hand at all times. 64) You know better than to say “Happy Birthday” to someone before their birthday for fear of bringing them bad luck. 65) You’ve grown accustomed to not having air conditioning and upon returning to the US, you freeze everywhere you go. 66) You’ve come to either ignore the pesky German stare or ask them if there is something you can help them with. 67) You appreciate the idea of a “Pfand” to help encourage recycling and love getting the refund back at the grocery store to apply to your groceries. 68) You automatically make a dinner reservation when you know you’re going out for fear of not getting a table because everyone else has also reserved a table. 69) You no longer complain about having a super small refrigeration and appreciate having fresh food every 2-3 days. 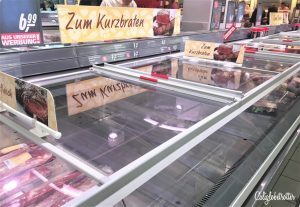 70) You avoid grocery stores like the plague before and after a 3 day weekend. 71) You look forward to your “Feierabend” every evening. 72) You say “Genau” every 10 minutes. 73) You have a favorite Döner kebab shop and you tell everyone to go there. 74) You love being able to drink in public. 75) You love watching reruns of The Big Bang Theory, Two and a Half Men, 2 Broke Girls and NCIS in German. 76) You can now parallel park like a pro. 77) You’ve come to understand the German sense of humor. No fun, go back to work! 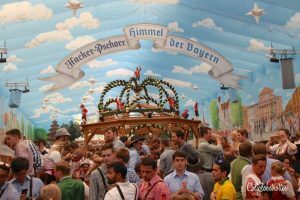 78) You go to as many beer festivals in Germany as you can. 79) You avoid Oktoberfest like the plague because it’s too touristy now. 80) You often lean out of your window to people watch. 81) You don’t know your neighbors. 82) Your house in immaculately organized and every piece of paperwork has a rightful place. 83) You are faithful to one name brand of German automakers: Audi, Mercedes-Benz, Porsche, Volkswagen etc. 84) You watch Dinner For One every New Year’s Eve. 85) You religiously go to the Thermal Spas as often as possible. 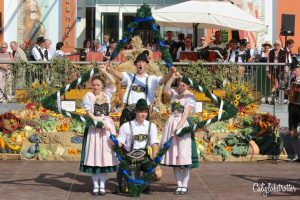 86) You love traditional celebrations in Germany such as the Almabtrieb in the Bavarian Alps or even Erntredankfest, a type of Thanksgiving. 87) You enjoy lighting an Adventskranz (Advents Wreath) every December. 88) You can tell where someone comes from by their dialect of German. 89) You’ve experienced the thrill and fear of a New Years Eve in Germany with fireworks being shot in every which direction. 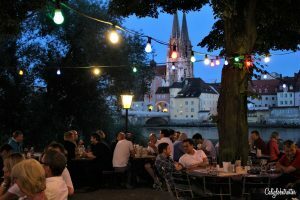 90) You know the best hidden gems in Germany. 91) You love being able to walk into the city center within minutes. 92) You have more German cookbooks and magazines than you know what to do with them. 93) You look for Gemütlichkeit everywhere you go. 94) You have a collection of beer glasses, which perfectly match the type of beer one is drinking. 95) You can no longer sleep without your shutters completely down, making the room pitch dark. 96) You have at least one staycation a year aka a “Balkonien”. 97) You’ve experienced more political protests than ever before. 98) You feel that German castles are far superior. 99) You pass as a German and people actually ask you for directions. 100) Your friends and family really, REALLY don’t want you to leave Germany. Love this! I am putting together something similar about Australia – it’s amazing how much you change when living abroad!! My favourite one for Australia is that you think a road trip of 4 hours is just popping down the road! I love that you have got used to the rules in Germany – I lived in the German speaking part of Switzerland for a while and the rules drive me mad – no washing on the line on a Sunday!!!! Haha sounds like you would fit right in here! Of course, giggling is encouraged! I can’t imagine living in a country other than my own, for that long. I’m sure you have adapted to that way of life! I loved my short time in Germany and still enjoy a good German beer. I also love the part about having beer glasses for every beer type you drink. Ireland was the same way and it made me want to start a collection of my own. I have never been to Germany but, having read your post, living there sounds like fun! Thanks for sharing. Great post, it made me smile. The Germans are very good at sticking by the rules. 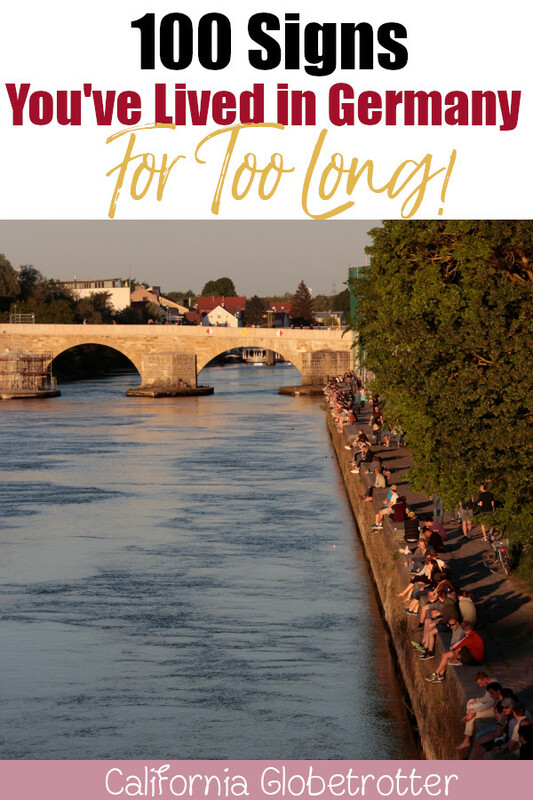 Great list, I loved my time living in Germany and do indeed have some of those traits! I’ve never lived in Germany but I do love to visit. I remember the looks I got when I first crossed the road on a red man! Sounds like you’re going to stay put – with your beer and cake and recycling and castles! !